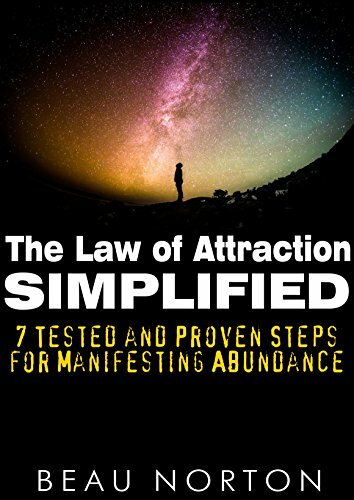 Before you dive into this guide, please note that this 7-step process I am about to share with you is a simplified version of the exact process I have personally used to overcome a lifetime of struggle and go on to live some of my wildest dreams. This is not a process based on “theory” or something I read in a book. This is a process that I have personally tested and found to be effective in my own life. I’ve used this process to overcome financial limitations, to travel the world, to meet the woman of my dreams, to find true inner peace, and much more. I am only speaking from experience. If you don’t apply what I teach you here today, then you will not obtain the “proof” you need in order to increase your faith in the process (faith is a crucial element for manifesting). This guide explains a process but does not “prove” anything. Ultimately, the only way for you to prove the truth of what I say is for you to go out and test it for yourself!